Lose up to a pound a day--and sip your way to a flat belly! Drink Two Delicious Smoothies a Day and Watch Belly Fat Melt Away! Sculpt the body you want and help bulletproof your health with the foods you love to eat--in just seven days! Yes, it sounds hard to believe, but when you look closely, it makes complete sense: Simply replace two meals with creamy, nutritious smoothies, and you can lose up to a pound a day and train yourself to eat more healthy for life. FOR BREAKFAST: A tall glass of high-protein smoothie called Chocolate Peanut Butter Power. FOR LUNCH: Enjoy chicken salad with pistachios. FOR A MIDAFTERNOON SNACK: Key Lime Pie smoothie! FOR DINNER: Sheet-pan roasted vegetables with chicken or savory beef stew. 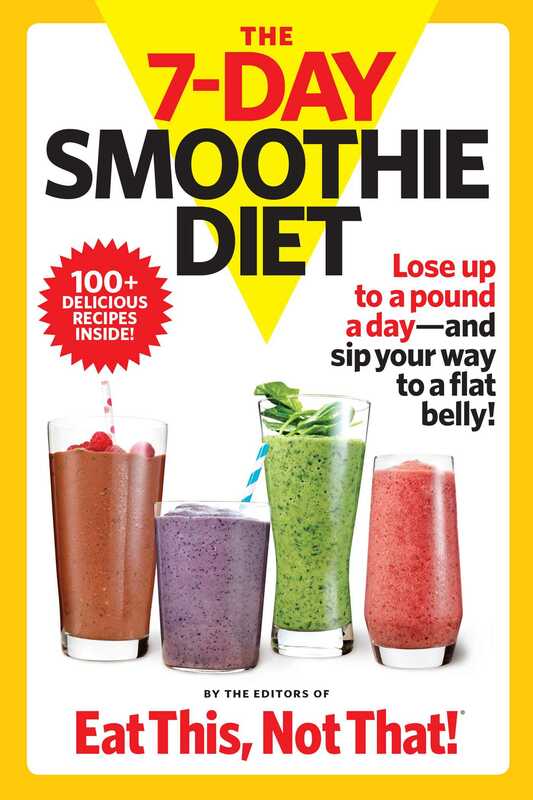 You'll find more than 100 good-health recipes for smoothies and hearty meals inside the book. Plus...we'll demonstrate a "Get Moving!" exercise plan that'll help you burn hundreds of fat calories throughout the day. No gym required! You can lose up to a pound a day while slashing your risk of the debilitating diseases of aging. The editors of Eat This, Not That! have created a super-simple 7-day plan to cancel carb cravings and trigger rapid fat burn. All it takes is replacing one meal and one snack with a belly-filling shake. It's weight loss at the push of a button!